You need a gallon sized zip lock bag and a quart sized bag, some rock salt, ice and ice cream ingredients. 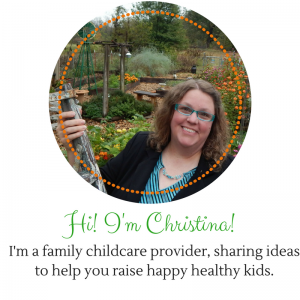 I have made this with my kids several times and it’s always so much fun! It’s also good motor skill building since they have to put in the work to get the reward. The sensory experience of the cold ice, the smooth plastic, and the sweet, yummy smelling ice cream is awesome as well. And SCIENCE is involved in watching the reaction of the milk as it turns from liquid to solid as it freezes. Why does it work? When ice comes in contact with salt, it causes the ice to melt, then the ice freeze point is a lower temperature, so it will freeze faster. This causes the ingredients in the bag to freeze when the warmer cream mixture is moved around against the ice. As you stir or shake and squeeze it, the ice cream freezes evenly causing it to have a creamy texture. This activity has so much to offer kids, plus they get a yummy, chemical-free snack from the deal in the end. Who doesn’t love a super fun dessert? I know I do. 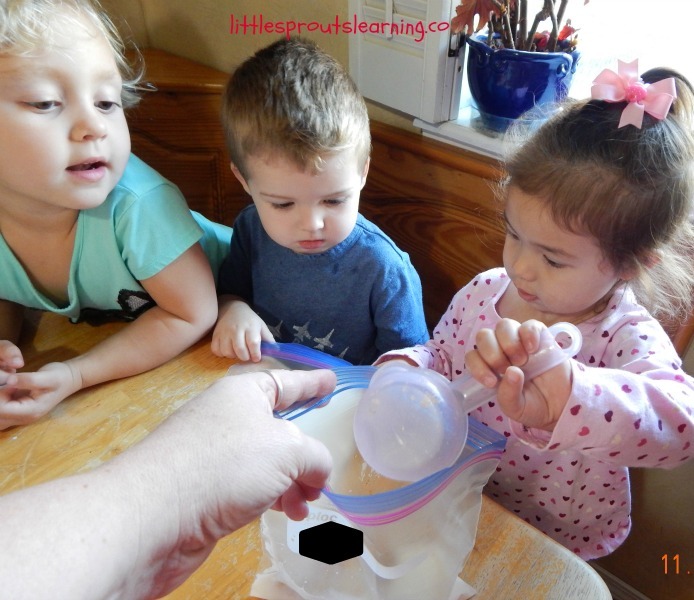 Simple homemade ice cream made in a zip lock bag. 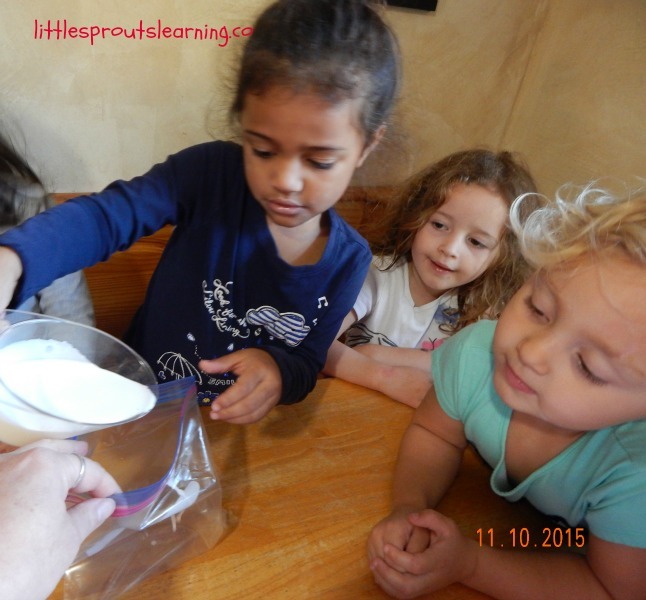 Hold quart size bag open and let kids pour cream, milk, vanilla and sugar into bag. Zip bag tightly for each child. 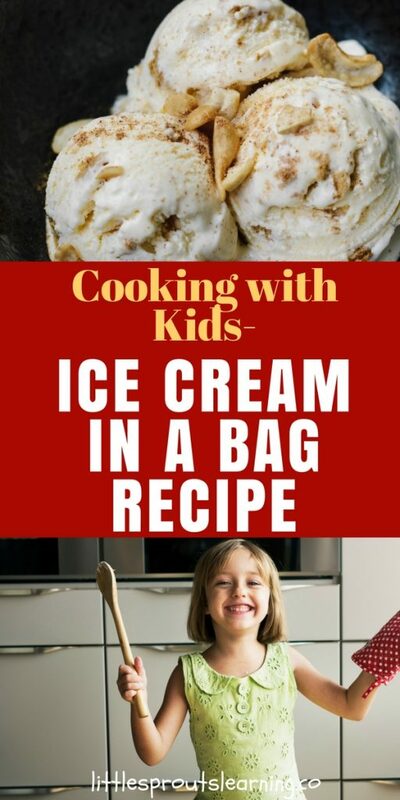 Let child place ice cream back into gallon sized bag. Let child add ice and rock salt to gallon bag. Zip gallon bag tightly for each child. Let them shake for 5 minutes vigorously until ice cream is firm. Remove quart bags from gallon bags carefully making sure not to spill salty liquid. Place quart bags in freezer until ready to eat. Snip bottom corner from bag with scissors and squeeze ice cream into dish. Whip up a batch of this super fun treat, or check out the blog for other great cooking with kids recipes and activities. Cooking is a wonderful way for kids to learn so many things including healthy eating, trying new foods, math, science, and reading skills and so much more. Get your kids in the kitchen today. Click here to see why it’s so important! This is so super super great to do this with them!!! Thank you ??? I know they lived it ! !